Wolfsburg - Given the acknowledged scope of their own ambition, VfL Wolfsburg have had a pretty thin time of it since storming to an unexpected debut Bundesliga title in 2009. Big-name coaches have come and gone to no great end, Meistermacher Felix Magath himself even returning for an altogether less successful stint than first time around. As of the 2012/13 winter break, Dieter Hecking is the man in the hotseat alongside sporting director Klaus Allofs, who himself ended a long-term relationship with SV Werder Bremen to help oversee the Wolfsburg project. It remains very much a work in progress, but the new model Wolves are already looking like viable candidates for a UEFA Europa League place at least and once a rejuvenated midfield really starts to click, they may well be setting their sights even higher. 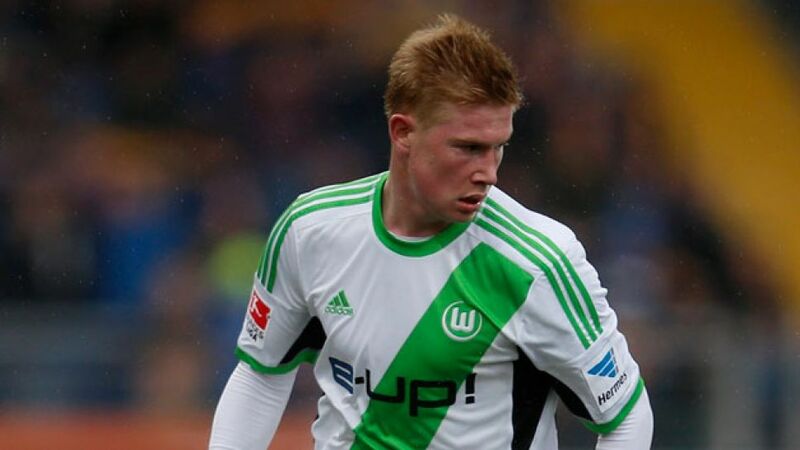 With young gun Maximilian Arnold already having largely supplanted Diego in the central attacking midfield role this season, Wolfsburg dug deep into their pockets to sign another potential playmaker ahead of the campaign restart: Kevin De Bruyne's arrival from Chelsea FC over the winter break also helped offset the disappointment of the Brazilian fulcrum’s subsequent departure for La Liga and Club Atlético de Madrid just before the close of the winter transfer window. The 22-year-old Belgium international is not a like-for-like replacement but rather, as Hecking put it: “He brings us something we don't have in quite that form in terms of his pace, directness and ability to resolve one-on-one situations.” In short, the coach expects De Bruyne, once settled in, to become a “fresh cornerstone” of his team over the coming years, pointing out: “I know more or less how he plays and he's a very good fit for us.” Allofs would doubtless assert the same, having been instrumental in acquiring the services of the midfielder for Bremen on a season-long loan deal prior to his own departure for Wolfsburg in November 2012. Now, the sporting director has got his man for the duration and, as he put it after De Bruyne had put pen to paper on a contract through to June 2019: “We've changed certain things over the past few months at Wolfsburg and believe we've taken a lot of small steps in the right direction. Signing Kevin is the latest one in that process.” The player touted as one of the most gifted of a golden Belgian generation is accordingly earmarked for a pivotal role high up the pitch in Hecking's aggressively attack-minded team. It is an opportunity he was never truly afforded at Chelsea, who signed him from KRC Genk at the end of 2012 but let him finish the season in Belgium before he was promptly farmed out again to Bremen. A standout performer in Thomas Schaaf's difficult final season in charge of the Green-Whites, De Bruyne chipped in with ten goals and nine assists to help them belatedly stave off the spectre of relegation. Wolfsburg were by no means the only Bundesliga side to flag up an interest in prising him away from Chelsea last summer, with Borussia Dortmund and Bayer 04 Leverkusen equally impressed by his debut Bundesliga campaign – all to no avail, with the London outfit reluctant to let him leave at that juncture. After another frustrating half-season on the margins of the first-team, however, he was given the all-clear to move on and with his stock still unwaveringly high in Germany, a return was always on the cards. More specifically, with Allofs having “kept the channels of communication open”, it had for some time been “clear that Wolfsburg would be my first point of contact if Chelsea let me move”, the new signing revealed on the club website. His Belgian international team-mate Romelu Lukaku, also on the books with the west London outfit and currently on loan at Everton FC, believes De Bruyne is now in his natural element, saying: “German football is perfect for him. He should have stayed there instead of returning to Chelsea.” Wolfsburg, at any rate, may well be thankful for the six-month interlude which helped ensure he landed with them.